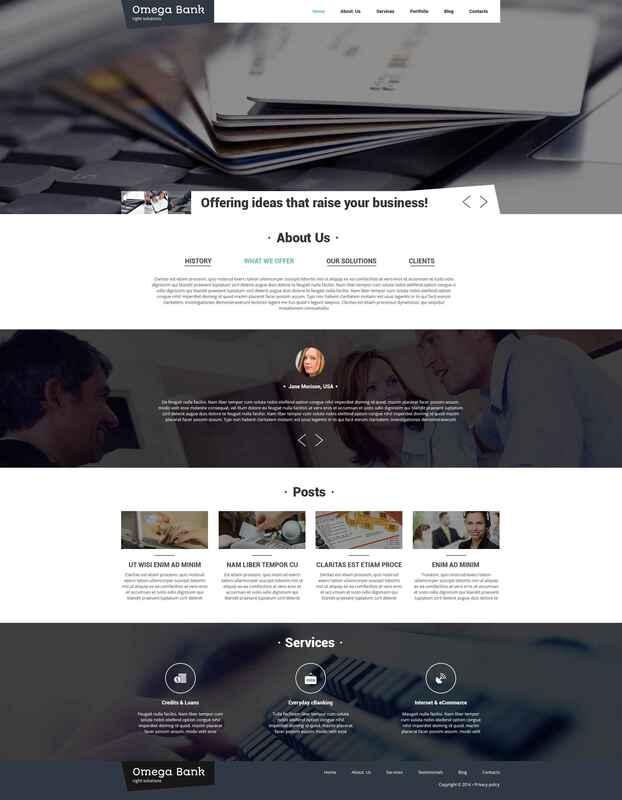 If you're need a website template for a financial institution, the design you see here will fit it as nothing else. A dark color scheme gives it that stylish look customers like so much. The layout comprises two sliders one of which can present selling points and the other rotates customer testimonials, which are so important for any business. Even though other site elements look quite traditional, they make a perfect surrounding for your clients. Choose it to take your business to the web and expand its reach.